Supports monitors from 4.4 - 17.6 lb. Features a Clamp Mount giving you the ability to clamp to desk edge .5"-1.75" thick. Detachable VESA mounting plate with 75mm and 100mm hole patterns. Concealed clamp-mount securely holds base to desk tops up to 1.75" (45mm) thickness. Cable management keeps wiring organized and protected. 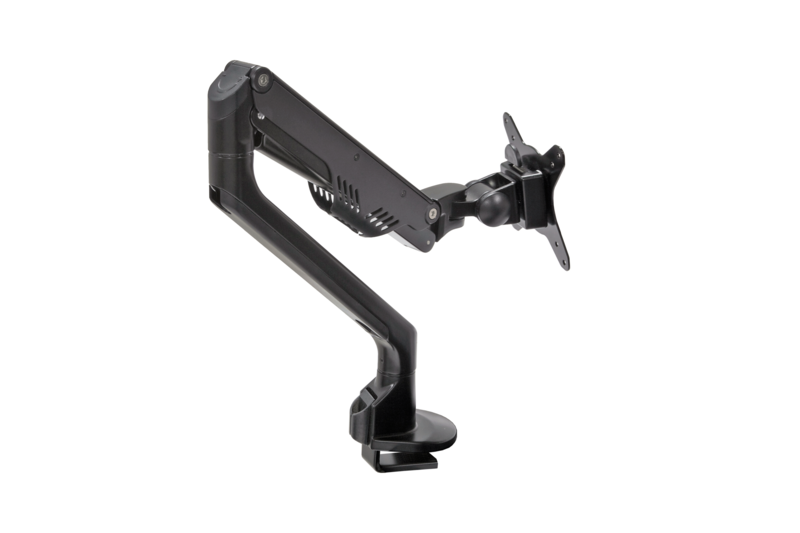 Adjustable tension control allows precise support for monitors weighing 2 to 8Kg. (4.5 - 17.6 lb). 360 ° pivot, 90 ° swivel, 45-90° tilt. For monitors less than 30 inches wide.